Tutorial: Make a Cloud-Connected Weather Station with the Arduino Yun & Temboo @arduino #arduino #IoT « Adafruit Industries – Makers, hackers, artists, designers and engineers! Tutorial: Make a Cloud-Connected Weather Station with the Arduino Yun & Temboo @ The Adafruit Learning System. In this article, you are going to build a weather measurement station that will automatically send data to the cloud using the Temboo service. When building home automation projects, we love to connect our devices together wirelessly and to the web, especially using WiFi. One solution is to use WiFi breakout boards or shields, for example using the CC3000 WiFi chip, connect it to an Arduino board, and build your own code for the WiFi communication & remote interface. In this article, I will show you another approach using the Arduino Yun & Temboo. 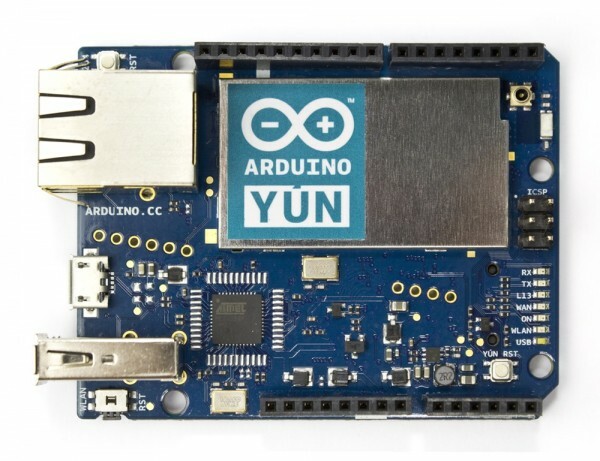 Introduced in 2013 by Arduino, the Arduino Yun is a powerful Arduino board with onboard WiFi & a small Linux machine. Especially, it is really easy to interface with the web service Temboo, which is what we are going to use in this project. We will automatically send data to a Google Docs spreadsheet, which can be accessed from anywhere. We will also build an automated email alert functionality to send an email to the person of your choice when a given measurement gets out of range. Let’s dive in! 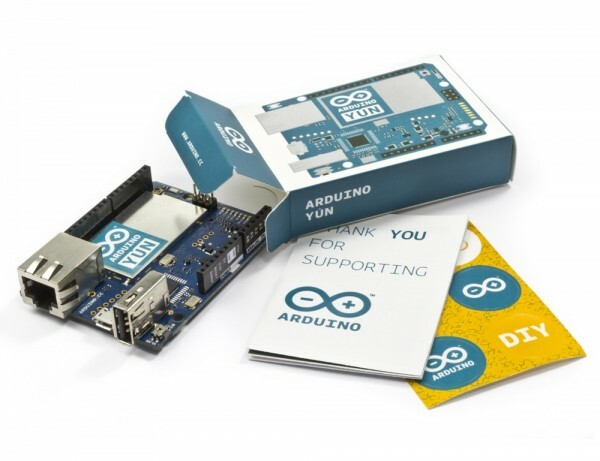 NEW PRODUCT – Arduino YÚN 云 – Arduino Yún is the first member of a new groundbreaking line of wifi products combining the power Linux with ease of use of Arduino. We embedded the Linux machine directly on the PCB of the Arduino Leonardo and we connected the two so that from Arduino it’s very easy to run commands on the Linux side and use it as an Ethernet and Wifi interface. The board can be programmed with an USB cable in the classic Arduino way or through the Wifi connection without the need to physically access the board. The new Arduino 1.5.4 IDE has the ability to detect any Arduino Yún connected to the local network. Clicking on the name of board and inputting a password is all it’s needed to program a board. This is the first official Arduino made in Asia, in Taiwan, because dealing with a tiny embedded Linux machine and Wifi all on a small board like this requires special equipment and expertise that are easier to find there.